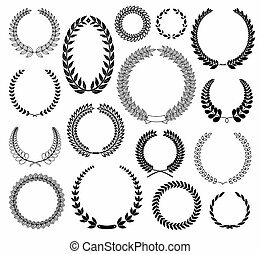 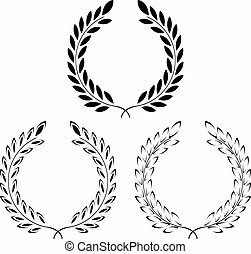 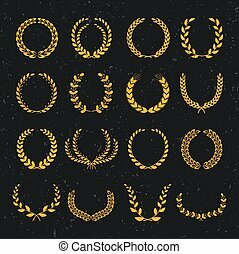 Set of laurel wreaths. 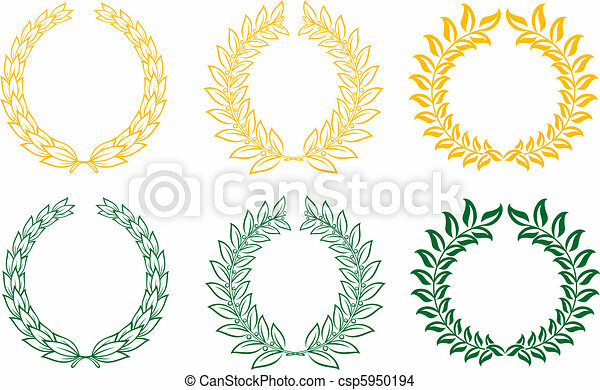 Set of gold and green laurel wreaths. 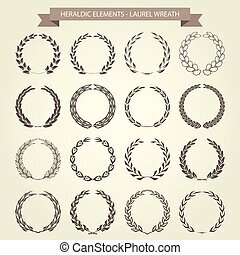 Set of laurel wreaths. 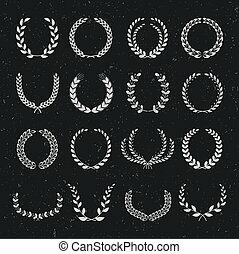 Big set of elements on a white background. 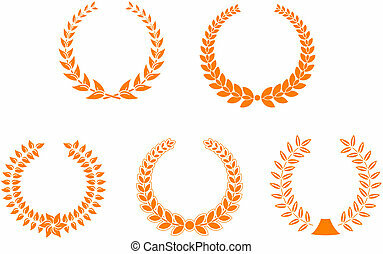 Set of laurel wreaths. 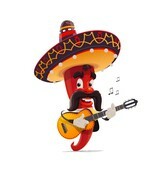 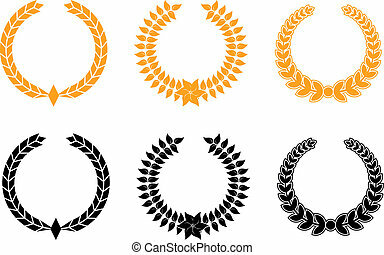 Big set of elements on a black background. 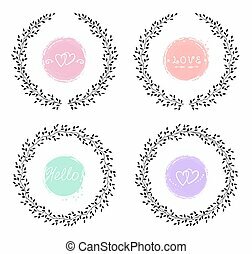 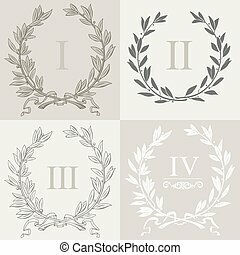 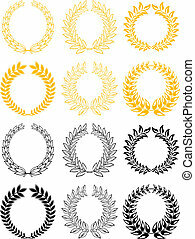 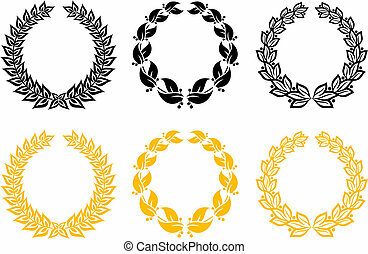 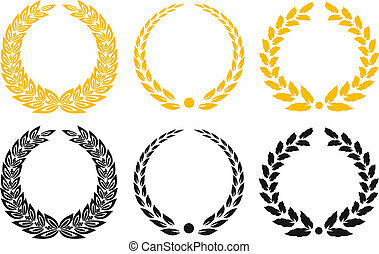 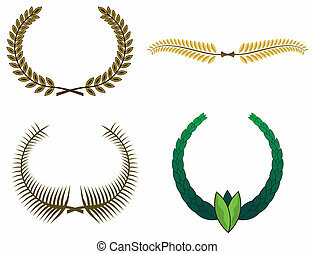 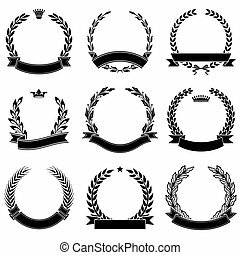 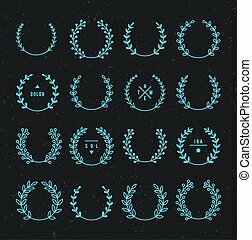 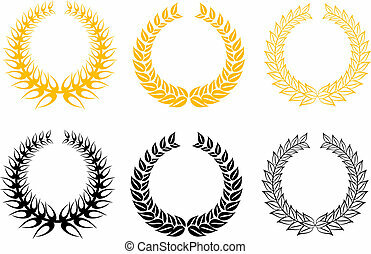 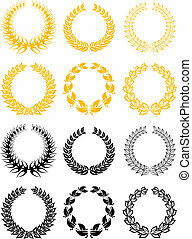 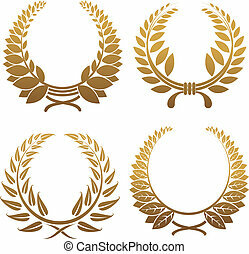 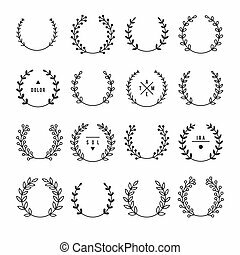 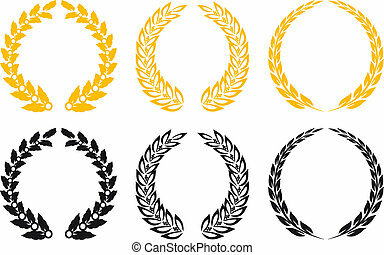 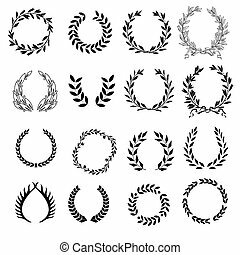 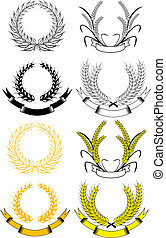 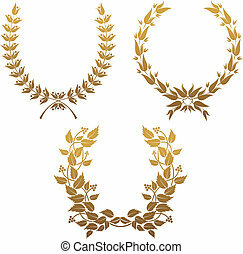 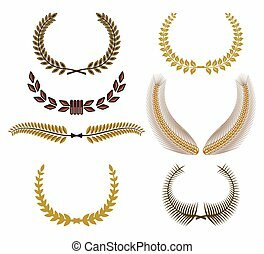 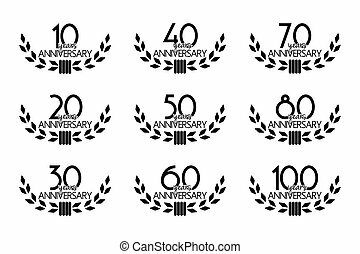 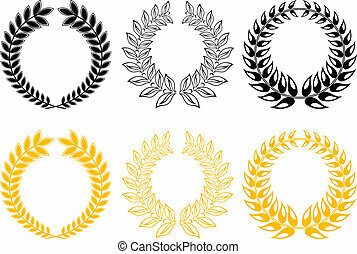 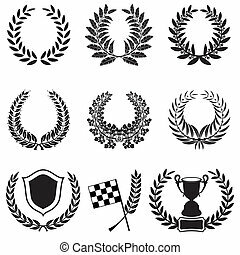 Set of laurel wreaths in vector graphics.